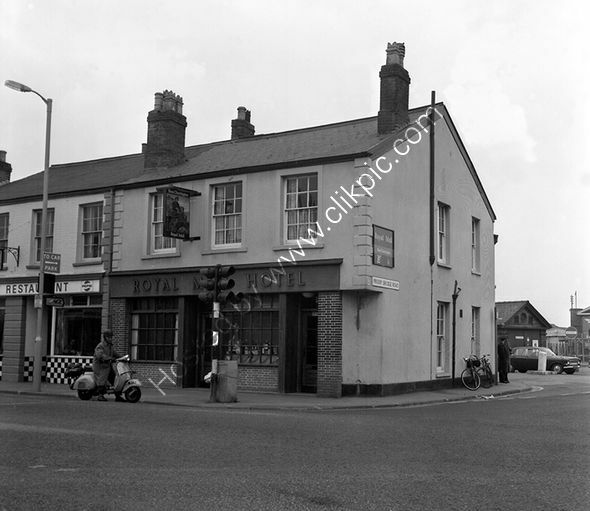 The Royal Mail Hotel, 78 Station Road, Taunton TA1 1PD in around 1974. In 2018 this was The Ale House run by Andy and Fiona serving traditional British pub food and ales. For commercial use of this photograph please visit www.alamy.com and search for RB1C9C but for a one off print, please see below (note there is a mark from water staining on the negative - on the gable end of the building near the bicycles that I cannot remove.